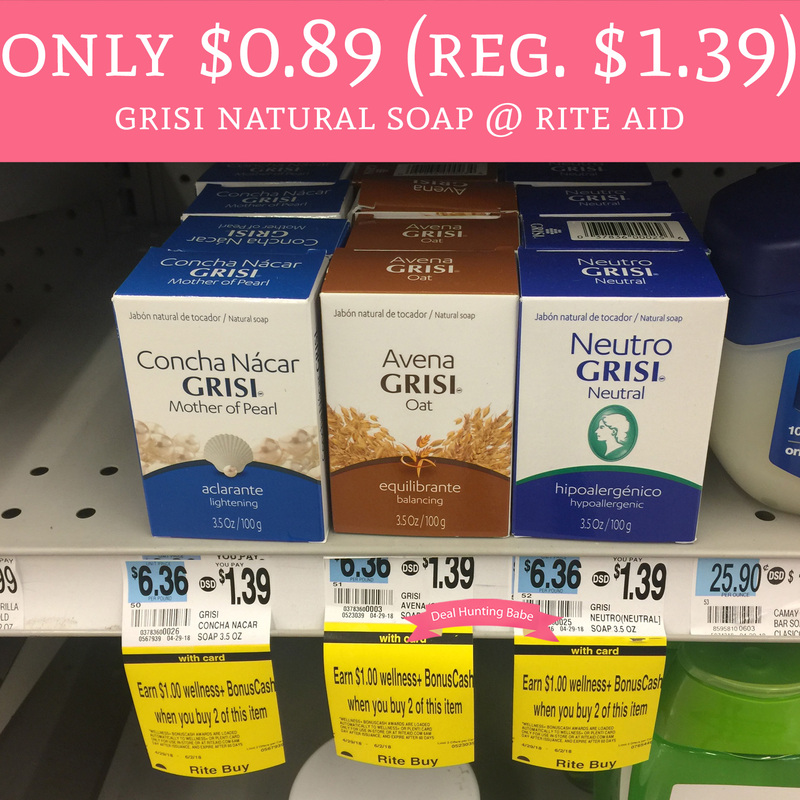 Through 5/26, head to Rite Aid where you can score Grisi Natural Soap for just $0.89 (regular $1.39). They are currently regular priced at $1.39 and buy 2 get $1 wellness+ BonusCash making each soap just $0.89! Final price $1.78 or $0.89 each! !